The Microsoft Hololens is an augmented reality headset that superimposes graphics, animations, and images into the user’s environment. 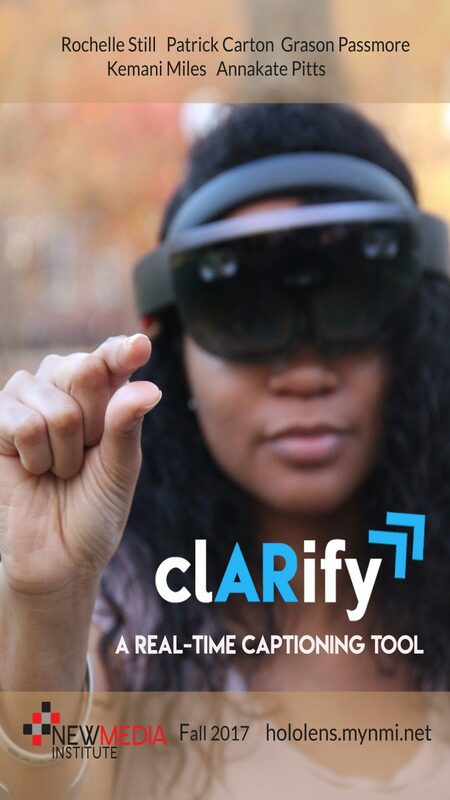 Although the typical Hololens consumer base consists of tech professionals, gamers, and designers; this student team developed a program utilizing the AR capabilities of the Hololens to assist hearing-impaired individuals. By scanning and interpreting the signals in a user’s environment, clARify creates real-time visual captions for incoming audio signals. By placing visual representations of sound into the immediate environment of the user, hearing-impaired individuals will have an easier time interpreting the sounds around them.